In Spider-Man: Turn off the Dark, everyone flies. Spider-Man flies, Peter Parker flies, the Green Goblin flies, the villain Arachne and her eight-legged spider minions fly, multiple Spider-Men take flight at once like spandex-clad missiles. Even schoolyard bullies are suspended in air while they pummel Peter Parker. The show is an aeronautics experiment, a circus of stunts. But director Julie Taymor, in her overreaching vision, forgets a basic goal of technical effects for the stage: to provide a visual and dramatic crescendo, a kind of punctuation for the unfolding plot. After the show, I remembered a lot of flying and little else. I recalled the stunts, but not when they happened or why. The problem with Spider-Man is not just the messy narrative or excessive technical ambition, but the shrillness of the special effects—a fireworks display that drowns out rather than dramatizes the story. Granted, the story is garbled. Taymor tries to fuse the Spider-Man saga with the Greco-Roman myth of Arachne, transformed into a spider by Athena when she prevails in a weaving contest with the goddess. Taymor has forgotten that the “Spider-Man” comic is cultural myth enough. Spider-Man: Turn off the Dark—the Broadway collaboration between Taymor, playwright Glen Berger, and U2’s Bono and The Edge that began previews on November 28—is now set to officially open March 15 (or possibly not until June, as the Times recently reported). As its interminable preview period hobbles along, Spider-Man has been thrashed by critics in recent weeks. The production is by now self-satire: the $65 million budget, the eager endorsement from Glenn Beck, the tales of actors and stunt doubles braving concussions and broken ribs. The Washington Post called the show “unsalvageable”; The Chicago Tribune, an “incoherent story” and “overwritten nonsense”; The New York Times, “so grievously broken in every respect that it is beyond repair.” The recent matinée I saw, featuring Matthew James Thomas in the title role, proved reliably defective: “Due to a slight technical difficulty, we’re just going to hold for a few minutes,” boomed a voice mid-scene in Act II, just as Peter Parker had settled into bed. “Peter, you can just lie there,” said the voice. So, for several minutes he did, legs splayed, hands folded behind his head. At least he wasn’t dangling from the rafters. As Spider-Man pinballed back and forth between the stage and the mezzanine and the Green Goblin (Patrick Page) careened over our heads, I thought of Tony Kushner’s Angels in America, where the Angel bursts through the ceiling to float luminously above a man dying from AIDS. And Elphaba in Wicked during “Defying Gravity,” robes billowing, belting that endless note. Both are lucid, haunting moments of bodies in flight. And, in both cases, the technical effect—as a literal and emotional climax—powerfully serves the story. Stage-flight has long been used in the service of plot. At the end of Euripides’s Medea around 425 B.C., the heroine rose over the stage in a chariot pulled by dragons. In medieval passion plays, angels and saints attached to ropes descended and ascended. Greek tragedy gave us deus ex machina, the god from the machine, swooping in to settle mortal affairs and tie up narrative ends. Peter Pan raised the profile of stage-flight in the 1950s; his singular power of flight was key to his character and to the plot. Seeing him teach the children to fly was a moment of magic. The problem with Spider-Man is that it makes magic mundane. Its overall effect is like a video game, sending the audience into a benumbed trance. Clearly, an over-enthusiasm for human flight is not Taymor’s only issue here. But it bespeaks a larger failure of the show, which has been engineered to appeal to a culture obsessed with technical excess: a general lack of restraint and balance, and an inflated faith in the power of stunts. Too many moments are explosive, and too many scenes seem conceived solely to showcase some technical accomplishment. One example is an elaborate arachnid dance involving prosthetic spider legs in high heels that made no sense in context or in retrospect. Watching Spider-Man had me wishing for calm and moderation, for a more strategic deployment of special effects. The visual impact of The Lion King, also directed by Taymor, hinged on feats of imagination rather than feats of gravity. 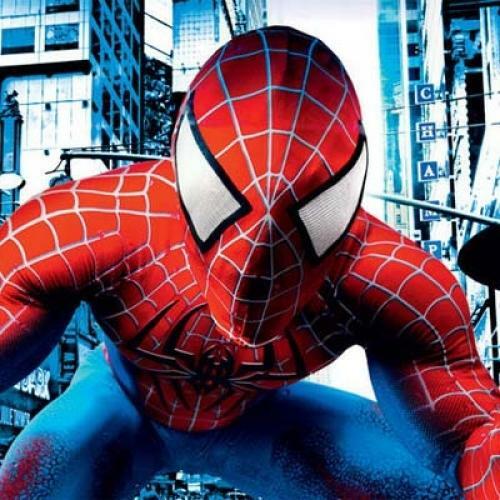 Spider-Man is an onslaught; the CGI screens are manic; the flying is clunky and distracting. Extra commotion clobbers the senses. It should be said that Spider-Man is not all tortured pyrotechnics. Some moments are slick and elegant and original. Certain visuals stick in the mind like catchy riffs (which Bono’s flat pop rock score lacks): Deftly synchronized dancers swing from orange strips of cloth, weaving a massive tapestry; a bird’s eye view of a city looms vertically as though we, from our seats, were peering off a skyscraper’s edge. In these moments, we see a glimpse of this epic as it could have been: simpler in its imagery, more judicious with its magic, a genuine thing of wonder. Laura Bennett is the assistant literary editor at The New Republic.